I’ve heard it said that teaching your children that Hell is real is a kind of child abuse. That jarred me. 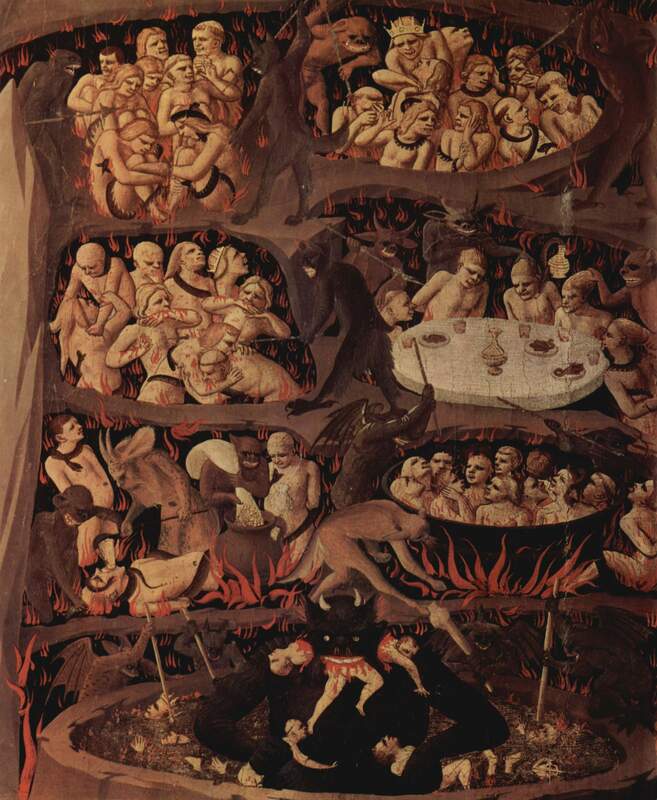 Billions of people believe in Hell—most of the disagreement is just over who has to go there. But I can see how belief in Hell can be hurtful. It teaches that the most loving being in the universe is still cruel enough to hurt you forever. Stop. Don’t throw down your easy reply about the holiness of God just yet. Let it sink in that the Author of love is willing to pour eternal misery on you. What kind of love is learnt from a Father like this? Of course, if Hell is real and the go-to place for those of us who can’t muster belief, then not telling people about Hell is abusive. Praise be, then, that it’s not a Biblical concept in the first place. Every evangelical has to question hell eventually, unless they’ve had the humanity stripped from them. The idea of a loving God forever tormenting billions because they did not put their faith in Christ grates the teeth. Calvinism has a ready defense for hell: God is just, and when it looks like he isn’t just, it’s only because I am totally depraved and can’t see what real justice is. So even though it seems unjust to torment billions forever, it’s actually hunky-dory. I used to do personal little theological studies. There was nothing better than opening up the Word, grabbing a pencil and notebook and working through some meaty theological problem. I picked up the study of hell a year or two after returning to Canada. To my surprise, though, I couldn’t find it. The Bible presents the two roads of a life following God and a life rebelling against him as a life / death battle, not a life / torture battle. The wages of sin is death. Those who do not believe will perish. Many verses use fire as an image of judgment, but I realized that fire is mainly used to make an end of a thing, not to torture it. A few passages in Revelation seemed to hint at something that sounded like the traditional view of hell, but Revelation is all manner of crazy, and I was not comfortable building a doctrine of hell from it alone. I realized that if I had come to the Bible without going through the church first, I never would have come up with this idea of hell. Especially considering that the Gospels paint a picture of a God so loving that He was willing to sacrifice Himself to save (some of) humanity. I wondered if I was becoming an annihilationist. I wondered what this would do to my Calvinism. And then Rob Bell showed up and everything went nuts. My faith tradition had sacred cows–at least one of which I hadn’t noticed until now. How many more unjustifiable things did I believe? I had to attempt a fresh look at the Scripture. And I had to do it no matter what the Internet said, because Truth was, and is, so much more important than the objections of friends.